Grissini are long, thin pieces of crispy bread, better known as bread sticks, and they are a popular accompaniment to many Italian meals. The origins of grissini appear to lie in the 14th century, and the food seems to have emerged in Turin(Norther Italy). 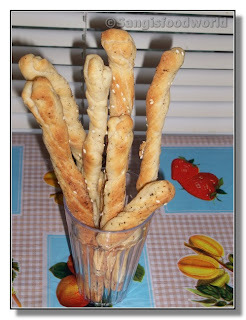 Grissino Torinesi, or bread sticks in the style of Turin, are very popular, and Turin prides itself on its grissini production. Grissini may be straight or twisted, slightly flattened and may be rolled in seasame seeds, fresh herbs. The dough may also be livened up with ingredients like brown sugar, honey or red pepper flakes. 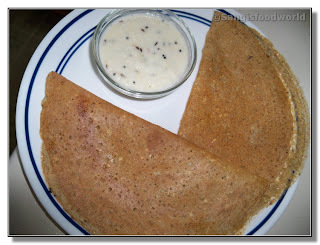 In a mood to try something new for breakfast, I added oats, sago and whole moong bean together into a healthy dosa batter. It tasted great with the mild crunchiness from oats and also turned out as green colored dosas due to addition of whole moong bean. Fenugreek (Venthaiyam in Tamil) is one of the amazing spice that's being used in our cuisine either as seeds, sprouts or leaves. Fenugreek seeds some how find their way into all the masala podis used for our cooking like rasam podi, sambar podi. 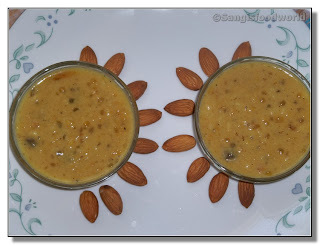 Also the seeds are used in most of the kuzhambhu recipes, especially fish kuzhambhu. Use of fenugreek seeds in fish curry preparation helps to eliminate the raw flavor of fish. Also roasted seeds make thier way into all the pickles. Apart from this fenugreek leaves known as Venthaiya keerai in Tamil is usually used to make kootu, parathas. 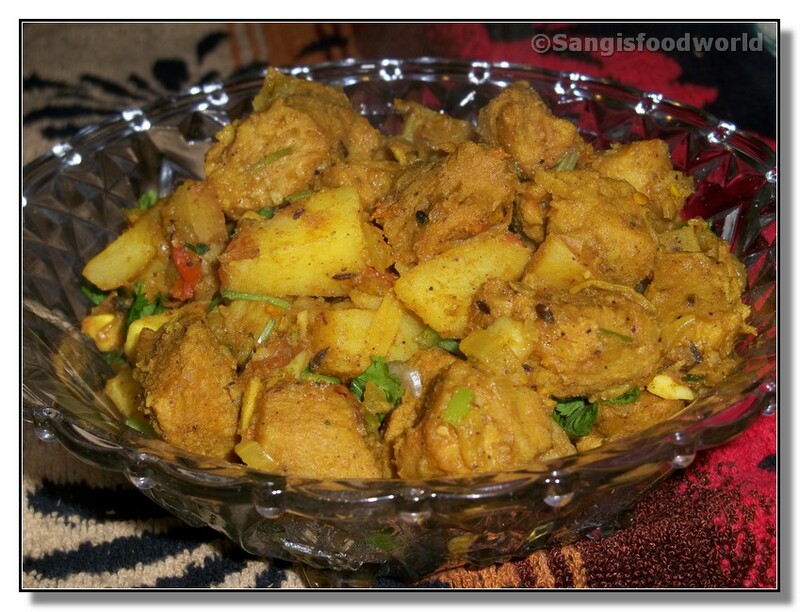 Dried fenugreek leaves popularly known as Kasuri methi is used in most of the North Indian curries as flavor enhancer. 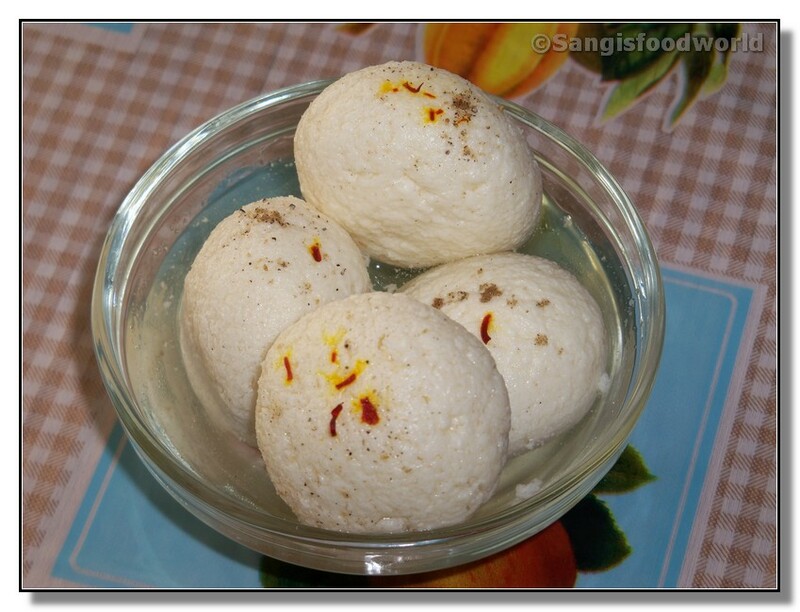 This is a simple kootu that goes well with rice or chapathi. 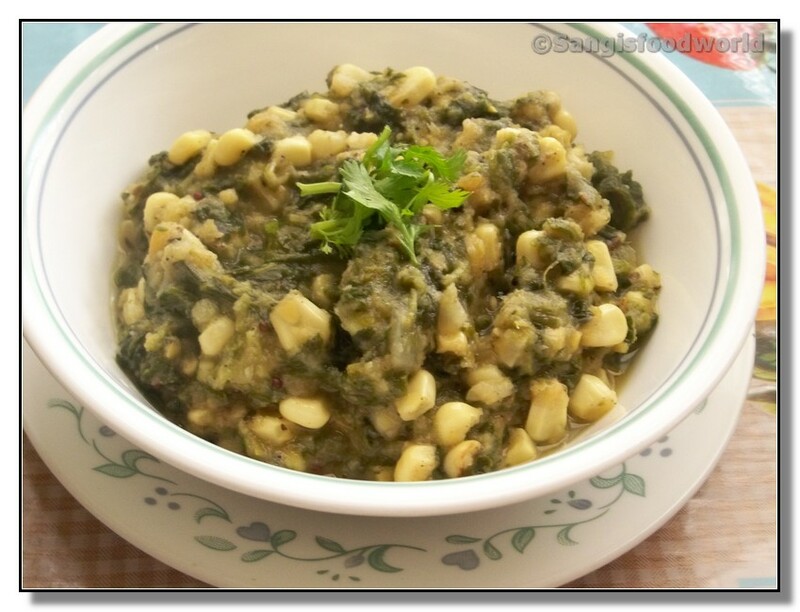 The combo of corn with spinach makes the kootu to taste great with the mild sweetness from the corn kernels. I have used kadalai paruppu or bengal gram for the kootu. 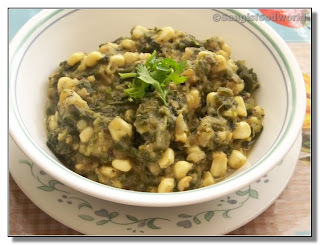 This recipe can also be tried with other varities of dals like moong dal or toor dal. 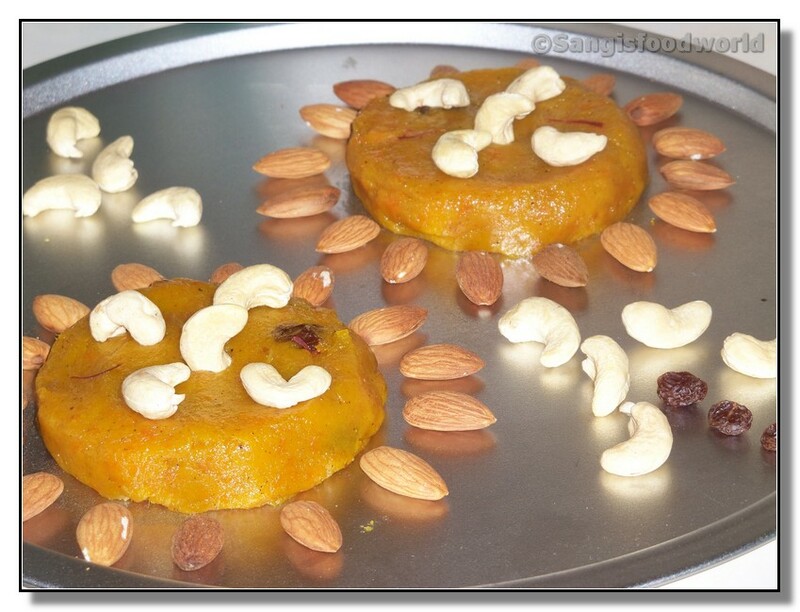 This is one of the common dessert in Spanish cuisine which is simple and easy to bake. Its popularly known as Bizcocho De Almendras. 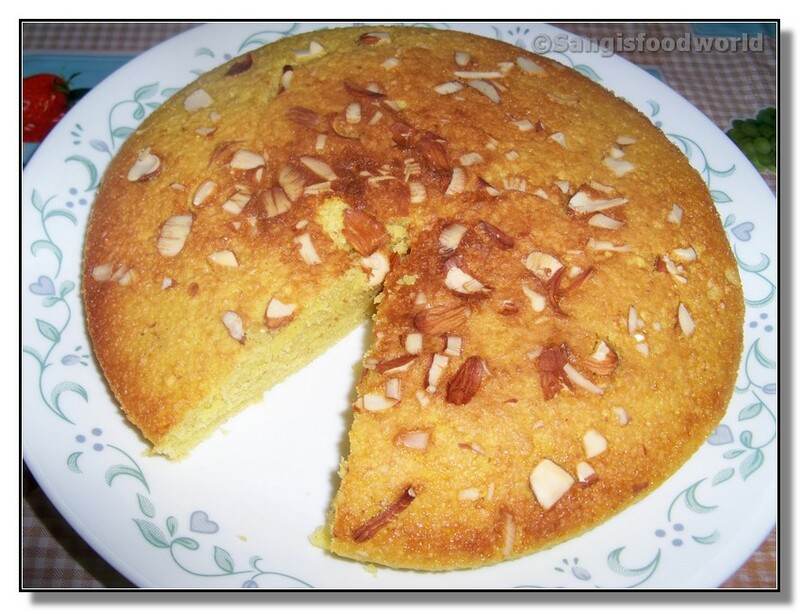 This is my first cake recipe and it turned out to be really soft and delicious. My hubby was really surprised with the cake and he himself finished off with most of it.. :) Of course I was really happy about it..
Those were the days in India, where we can have sura puttu or shark puttu whenever we wish to have. 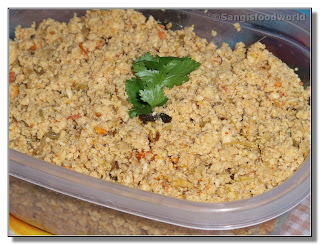 But here, where to go and hunt for shark.. :D So to make up for the shark puttu, comes the chicken puttu.. :) It's a simple recipe made using roughly ground chicken. 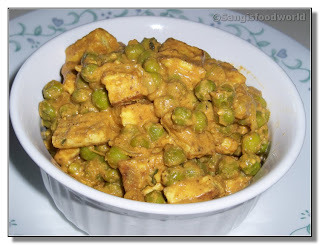 I would not call it chicken kheema, because the consistency of the ground chicken is much finer than that of a kheema. 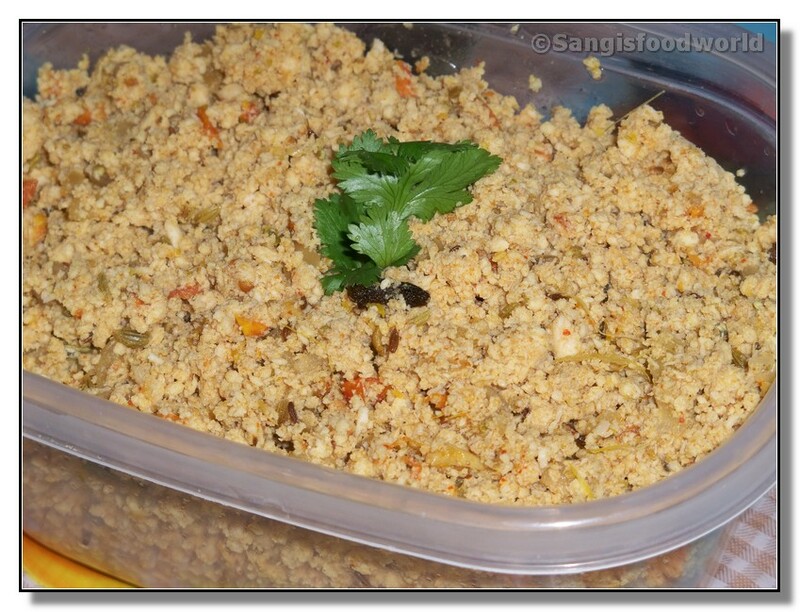 This is one of the simplest and yummy side dish that could be made with dry shrimp which is commonly know as Sennaguni/ Chennaigunni in Tamil. The combo of plantain with dry shrimp works great. 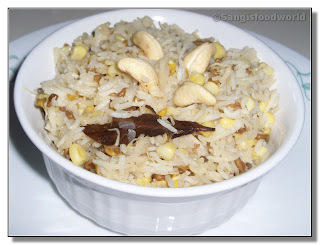 Its one of my mom's recipe, which is my dad's favorite too. 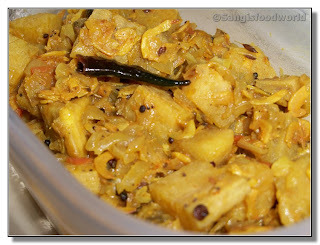 Same recipe can be adopted with other vegetables like bottle gourd, beans, chayote (chow-chow in Tamil) and brinjal/egg plant. 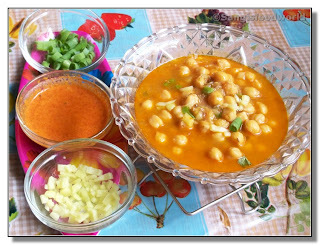 Today I am here with a soup recipe from Tunisia. What made me to try this soup is the 9th Mediterranean cooking event at Tobiascooks.com. We got to make any dish from Tunisia, to get into this event. 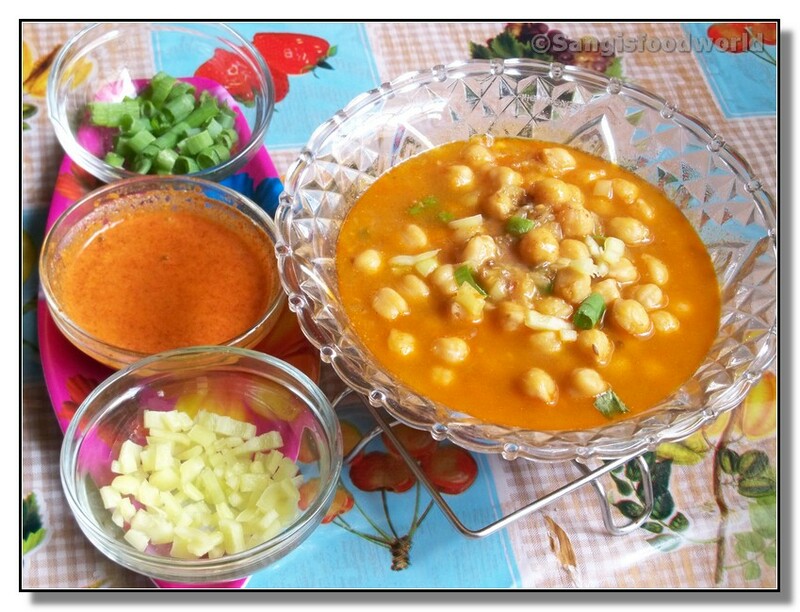 I searched for various recipes, of all, this chickpea soup impressed me. 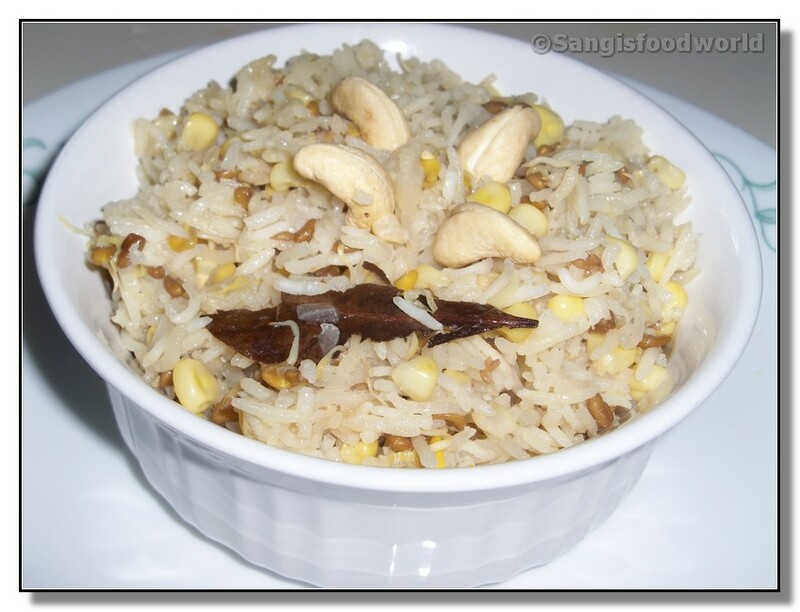 Its quiet simple recipe that was very similar to our Indian cooking using the same spices as we do. This is a simple and yummy recipe that we can opt for, when we are bored with the usual Turkey kheema curry. I have used 98% fat free turkey kheema and also used just a tablespoon of oil. Hence this briyani turned out to be lighter than the usual briyanis. Lesser fat, just made the lunch lighter without compensating for the taste. 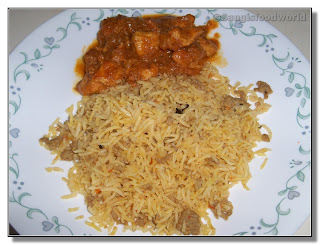 Kheem briyani with the chicken tikka masala made it a real happy lunch plate. Today I had a chance to know about the Sizziling Summer Contest, when I was browsing. In an idea to join the event, I searched my kitchen and found having few mangoes. I didn't want to make the usual mango shake or the mango juice.. Thinking what can be done.. May be some sweet using mango.. How about mango kesari.. Nooo.. Mango burfi.. Its still a no.. Then came the idea of mango badam halwa..
Savory Cookies - T & T from Dil Se.. I always want to try making cookies myself. 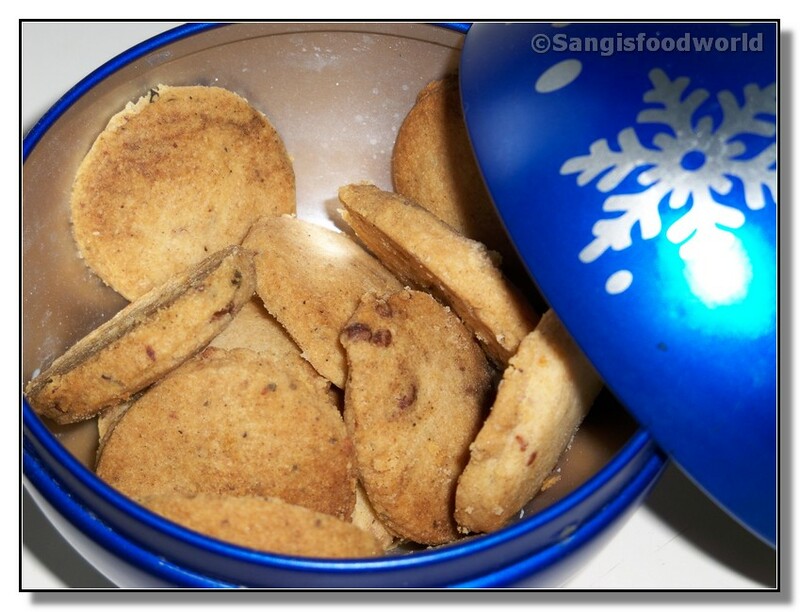 Being a poor baker, I keep hesitating to start off with baking cookies. But today I pushed myself to make my first cookies myself in my oven, which turned out to be great!!! Should call it a lucky day for shopping.. After two years of my stay here in San Diego, it was today, that I had a chance to find jack fruit and banana leaf in the near by Chinese grocery store..